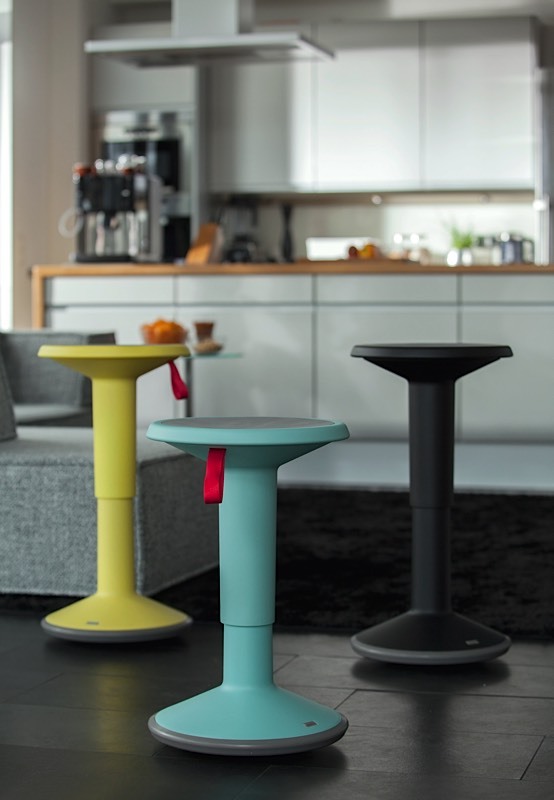 UPis1 stool sets your daily routine in motion. 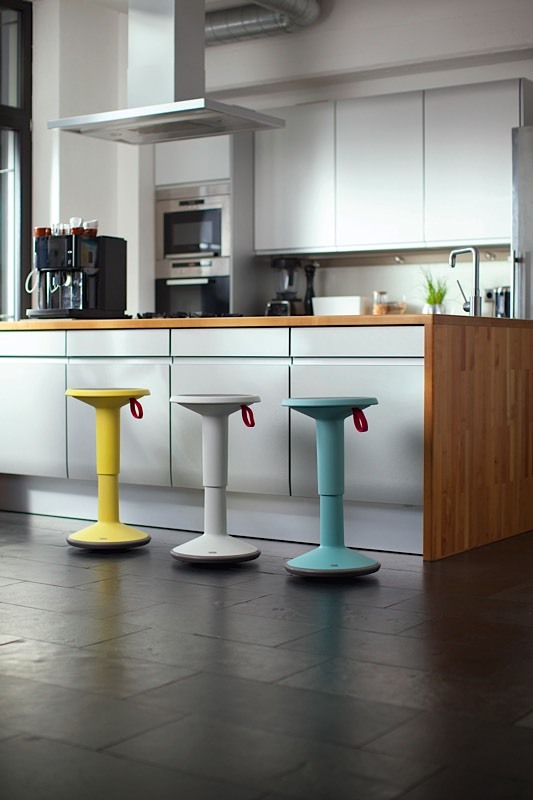 The intelligent adjustable height stool follows its owner through spontaneous conversations, workshops, meetings and brain storming sessions, keeping the user mobile and the agenda flexible. As an active alternative to the task chair, UPis1 brings a healthy change to the desk. 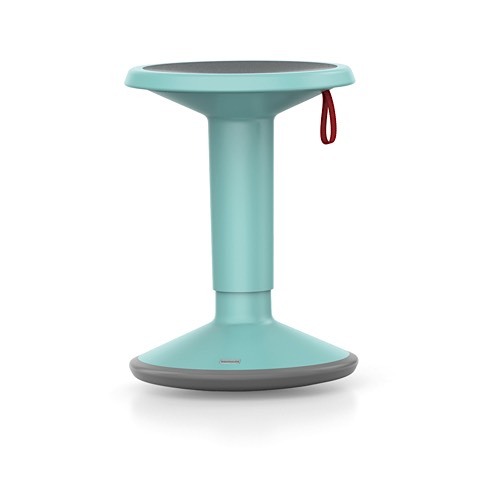 Taking the design a stage further, there is a grab edge located underneath the seat which allows to transport the stool with a simple hand gesture. As a seating opportunity that is available anytime and anywhere, the blue stool turns any conversation into more than just a conversation, and without distracting from the topic. With five color variations it is an upbeat product that seamlessly fits into any room. Additionally, thanks to the infinitely variable height adjustment it provides fuss-free seating comfort.